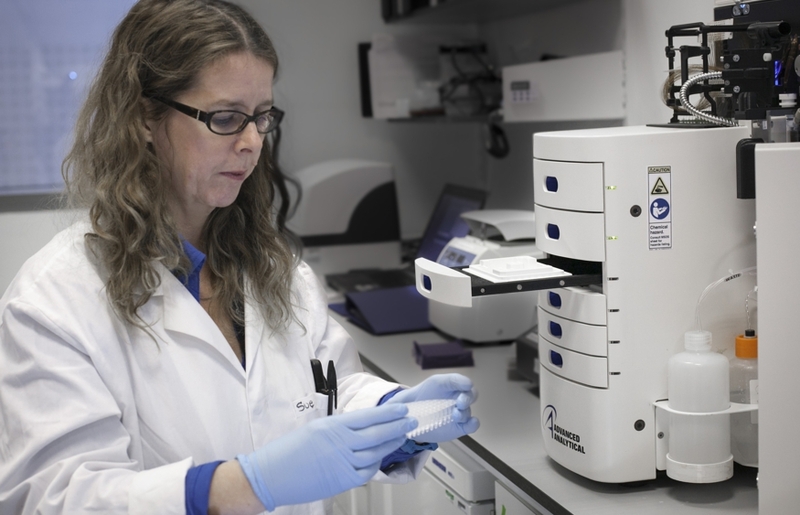 The Fragment Analyzer Auto Capillary Electrophoresis system from Advanced Analytical Technologies Inc is used for accurately sizing and quantifying DNA or RNA. It is different to the Agilent 2200 TapeStation Nucleic Acids system, in that it may be used to identify alterations in DNA sequences of interest, usually genes, which may account for partial or total loss of a particular function within the plant or microbe under analysis. Assays may be designed in a high-throughput capacity to identify single base changes or small deletions/insertions in genes of interest. Within our Bioscience Innovation Team, it is used as a platform for heteroduplex mapping (mutation detection), a reverse genetics technique, employed to identify induced or natural variation within specific user-defined genomic sequences, e.g. genes within a biosynthetic pathway of interest, promoters or other regulatory regions. To use the Fragment Analyzer or for more details, please speak to Sue or Debs.